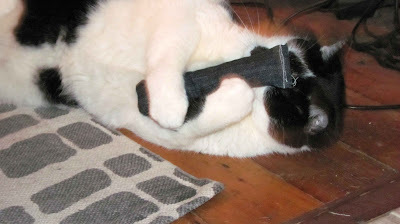 Gizmo's favorite toy tried and true has always been the Cat Cigar (or Kitty Blunt as I like to call it). Its the only toy that he has ever really liked playing with. But why are they $7? That is ridiculous. 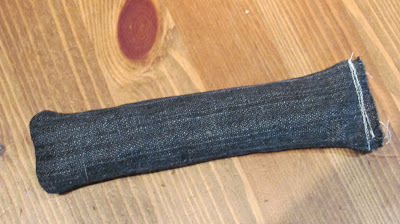 I had some extra denim lying around yesterday after making some quick shorts and thought I could make Gizmo's favorite cat toy for the price of the catnip I had in my house which was $2.00). I made 2 of them and still had cat nip left over. 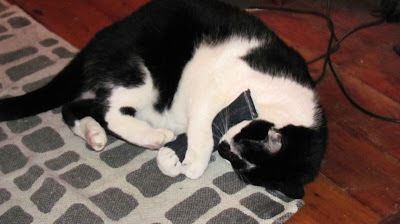 Normally the whole things is stuffed with catnip but I thought that it would be a sturdier toy if it has something else stuffed in there too. That way I would save on catnip and I could still have a substantially big toy for him to play with. He likes to hold it with his front paws and bunny kick with the back ones. Here's how I did it without stuffing the whole thing with cat nip. 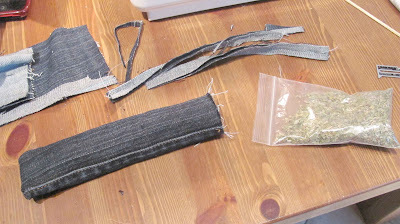 You will need denim scraps and bag of cat nip. 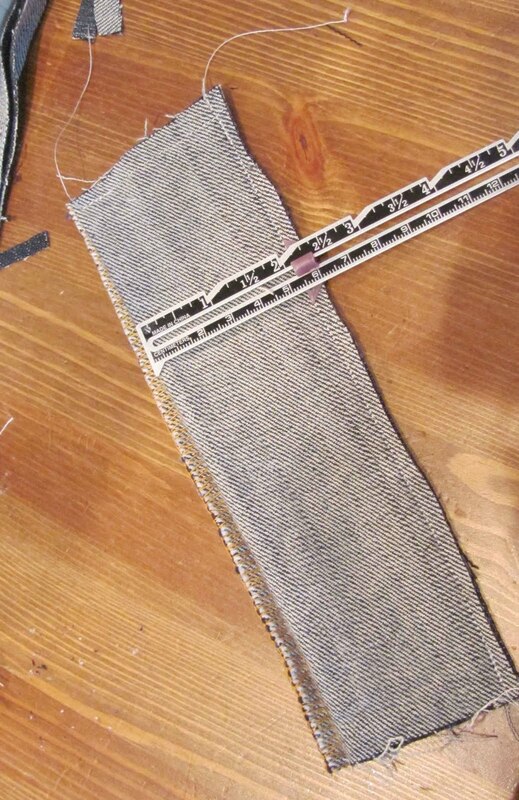 Cut a piece of denim out that is 7"h by 1.75"w and hem the 3 sides up. 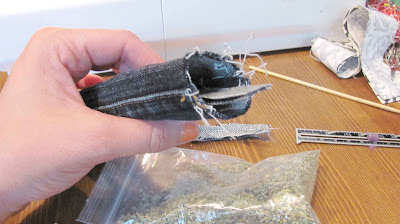 Turn the tube inside out and pour some cat nip in. 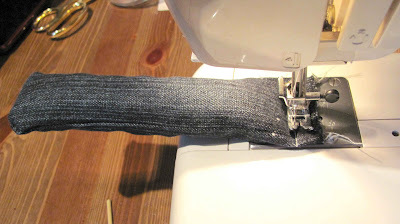 Then take some strips of denim and stuff them down in the tube. Make layers of catnip and denim till its full. Then sew up the top of the toy and trim. And Voila! You have a very cheap very popular cat toy for your little buddy! That's great! 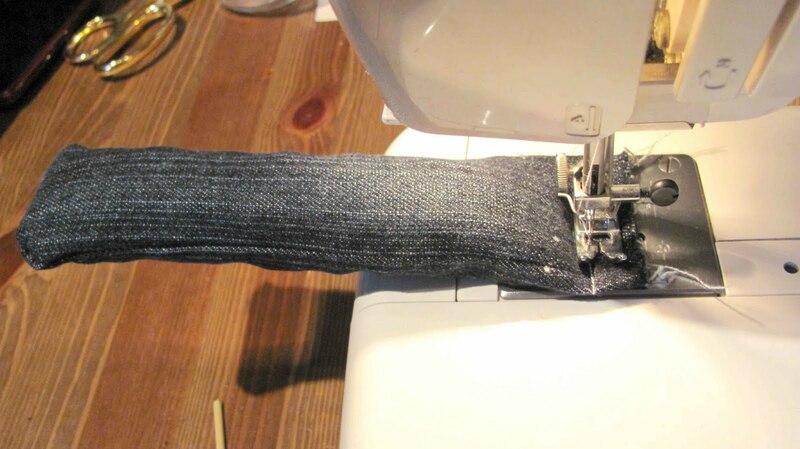 Denim is perfect, that thing could last forever. and it wont look like poop. I must say, Gizmo is an amazing model.